Study Abroad 4711 accepts all forms of financial aid. In order to use federal, state or institutional financial aid for a study abroad program, we recommend that you first speak with your home institution’s Financial Aid Office and Study Abroad Office to determine if they will allow you to use your financial aid for SA 4711 programs. Your home university Financial Aid Advisor should be able to guide you through the process of transferring your financial aid for your study abroad experience. 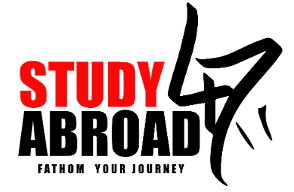 If your university is unwilling to assist you with federal financial aid, please contact Study Abroad 4711 for assistance. o Subsidized Loan: Available to students who demonstrate financial need. The Federal government pays interest on the loans as long as the student is enrolled half-time. Repayment and interest begins after you graduate, leave school, or drop below half time. o Unsubsidized Loan: Available to students regardless of need but interest is charged to the students while in school. A student may choose to make the interest-only payments on the unsubsidized loan or allow the interest to be added to the loan principal and then pay both principal and interest after leaving school. o PLUS Loan: Available to graduate students and parents of dependent undergraduate students. Interest accrues while students are in school. For graduate students, repayment begins 6 months after you graduate, leave school, or drop below half time. For undergraduates, parents must begin repayment once the loan is fully disbursed. o Federal Pell Grant is awarded to exceptionally needy undergraduate students. o Benjamin A. Gilman Scholarship Program. Open to undergraduate Federal Pell Grant recipients who intend to study abroad for a semester, summer or year-long program. o The Freeman-ASIA Grant is designed to support U.S.-based undergraduates with demonstrated financial need who are planning to study abroad in East or Southeast Asia. The program’s goal is to increase the number of U.S. citizens and permanent residents with first-hand exposure to and understanding of Asia and its peoples and cultures. o Boren Fellowship, an initiative of the National Security Education Program, provide unique funding opportunities for U.S. graduate students to study less commonly taught languages in world regions critical to U.S. interests, and underrepresented in study abroad, including Africa, Asia, Central and Eastern Europe, Eurasia, Latin America, and the Middle East. o GI Bill- Students wishing to utilize funds available through the 9/11 GI Bill for their study abroad experience will only be allowed to do so if their they are required to study abroad to complete their degree/program. All requests must be approved by the VA before benefits will be received. If you are a veteran, ask your school about the Yellow Ribbon Program. Apply early for a passport, or renew your old one. It should be valid for at least six months after you return home, and needs to have two or more blank pages. Otherwise, some countries may not let you enter. Sign up for our Smart Traveler Enrollment Program (STEP) at step.state.gov. You can receive travel and security updates about your destination, and it will help us contact you in an emergency. Study Abroad for 4711 students, it is mandatory for all students to register for ISIC Travel Insurance.